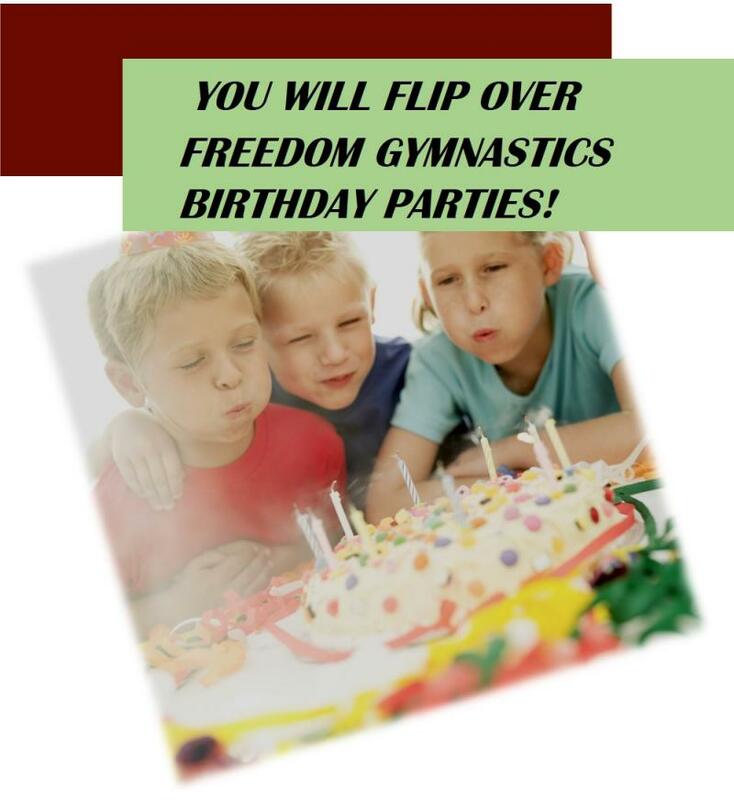 Freedom Gymnastics can host your party or gathering. We will tailor your party to your needs based on age and ability of the participants. Whether it is a Birthday Party for your child, a group outing for your team, a family reunion activity, or just a gathering of friends, everyone will have a great time learning and performing diverse physical skills. Whether you are 5 or 105 we can help you create a memorable event! (10 children & birthday child), $12.00 per additional child(ren) over 11 children. $50.00 non-refundable deposit is required to reserve a time and a date. All participants must have a registration form signed by their parent or legal guardian.